Joint, muscle, and nerve pain can make daily life difficult and may stop you from enjoying your favorite activities. Victor Nazarian, DC, and the team at IHS Medical Group in Los Angeles provide natural and minimally invasive solutions to pain and discomfort through regenerative therapy as an alternative to surgery. They offer a multitude of effective regenerative therapies including joint injections, wound therapy, and neuropathy therapy. To learn more, schedule a visit online or call the office today. The team at IHS Medical Group offers regenerative therapy from mesenchymal cells, joint injections to relieve pain and inflammation, wound healing therapy, and neuropathy treatment. To determine if you’re a candidate for regenerative therapy, the team performs a consultation and physical exam to understand your current condition, overall health, and lifestyle. Regenerative therapy works by introducing stem cells and other natural anti-inflammatory products into damaged tissues for repair on a cellular level. The stem cells and anti-inflammatory products contain the building blocks necessary for cell growth – including proteins, amino acids, and cytokines – and those molecules necessary to prevent further damage. Once these building blocks are administered via an injection, the cells begin to grow and differentiate into the types of tissues needed to repair the damaged areas. Regenerative medicine can be used to repair muscles, ligaments, and tendons and to improve blood flow to injured tissues for faster healing. 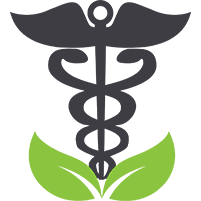 What can I expect during a regenerative therapy visit? Once you’re ready to begin your regenerative therapy, the team prepares your skin by cleaning the surface and applying a topical numbing cream, if needed. The team then uses a sterile syringe to inject either stem cells or other healing solutions. You may feel a small pinch during the injection. The entire procedure lasts under five minutes. How long does recovery take after a regenerative therapy visit? To learn more about regenerative therapy for muscle, nerve, or joint pain, call or schedule a visit at IHS Medical Group now.